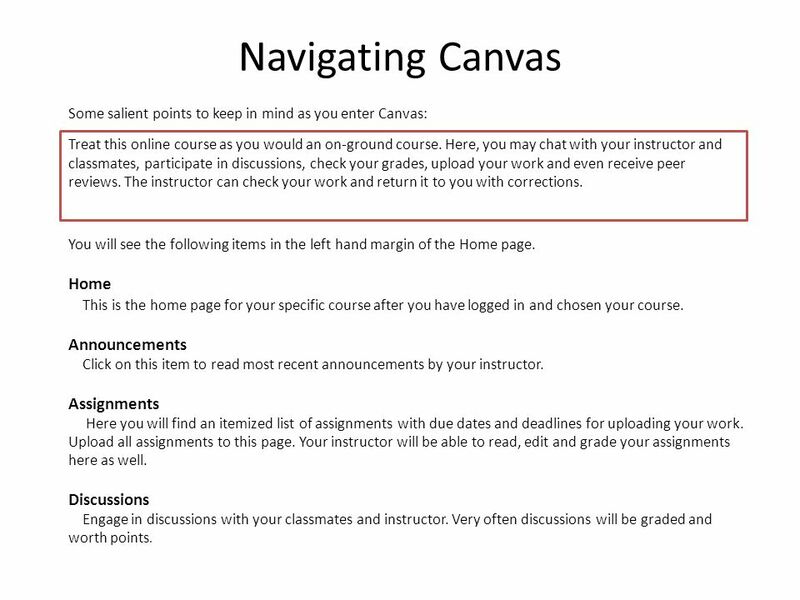 2 Navigating Canvas Some salient points to keep in mind as you enter Canvas: You will see the following items in the left hand margin of the Home page. Home This is the home page for your specific course after you have logged in and chosen your course. 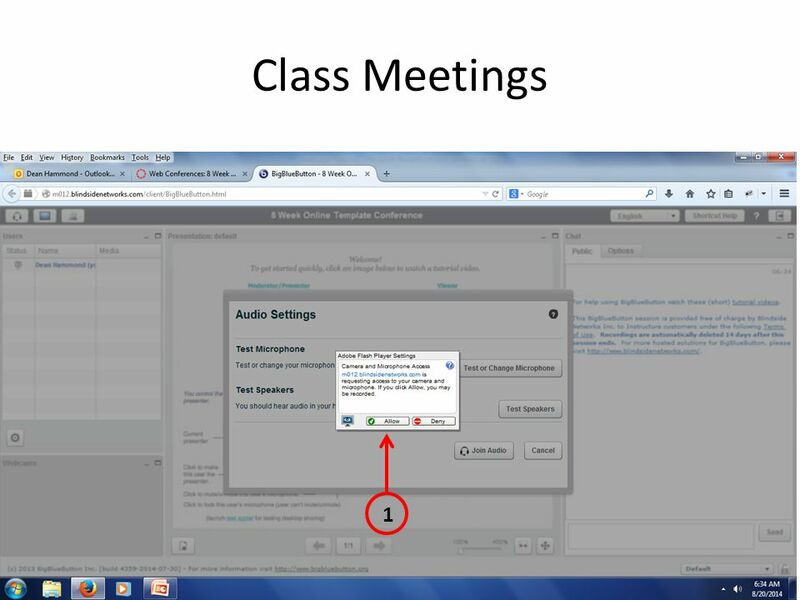 Announcements Click on this item to read most recent announcements by your instructor. Assignments Here you will find an itemized list of assignments with due dates and deadlines for uploading your work. Upload all assignments to this page. 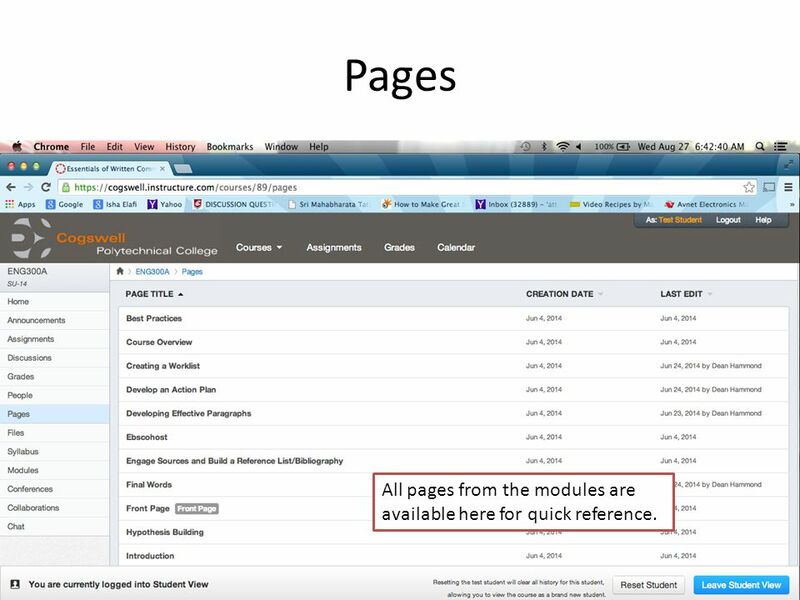 Your instructor will be able to read, edit and grade your assignments here as well. Discussions Engage in discussions with your classmates and instructor. Very often discussions will be graded and worth points. Treat this online course as you would an on-ground course. 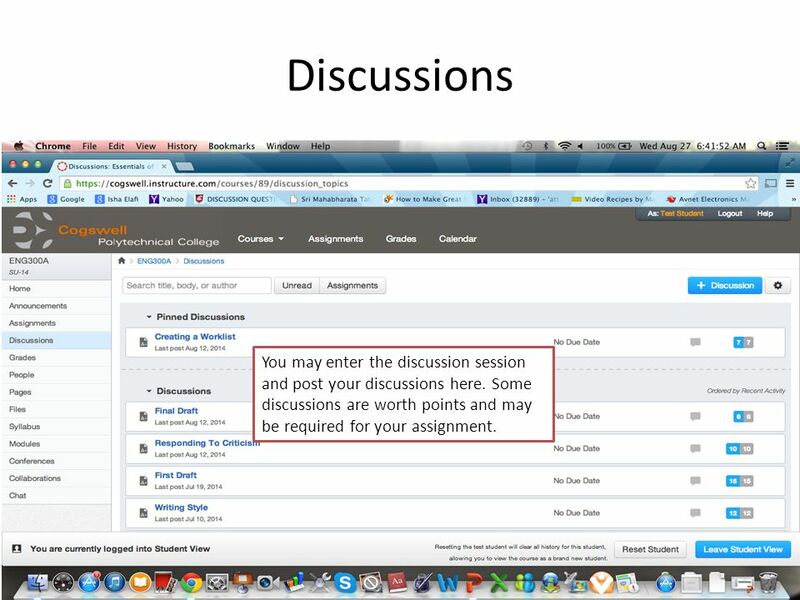 Here, you may chat with your instructor and classmates, participate in discussions, check your grades, upload your work and even receive peer reviews. The instructor can check your work and return it to you with corrections. 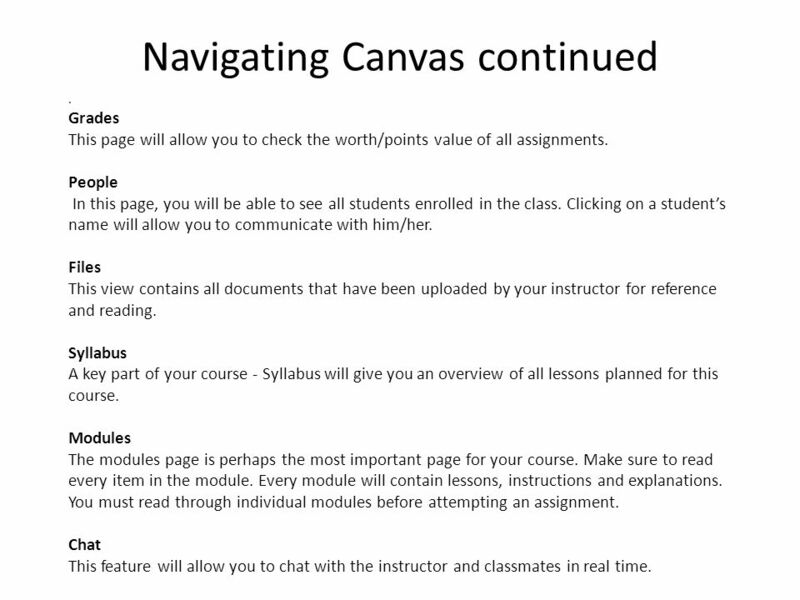 3 Navigating Canvas continued. 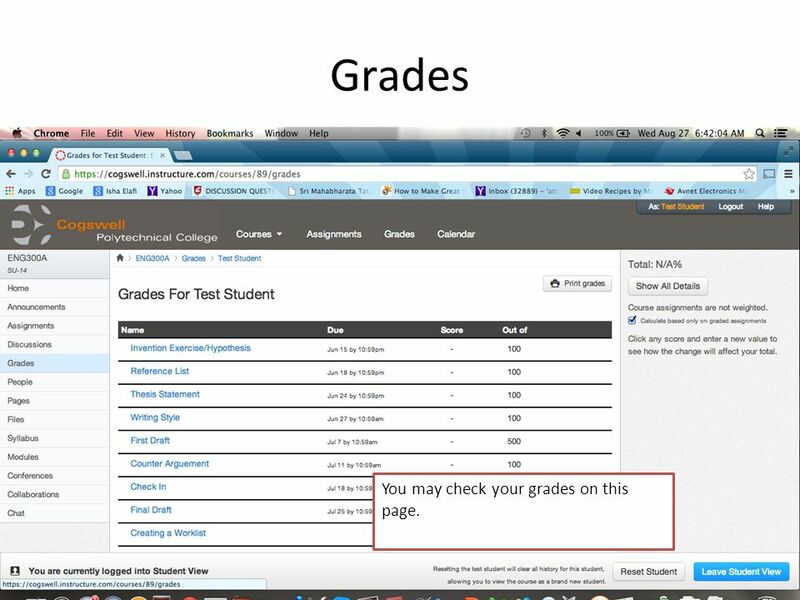 Grades This page will allow you to check the worth/points value of all assignments. 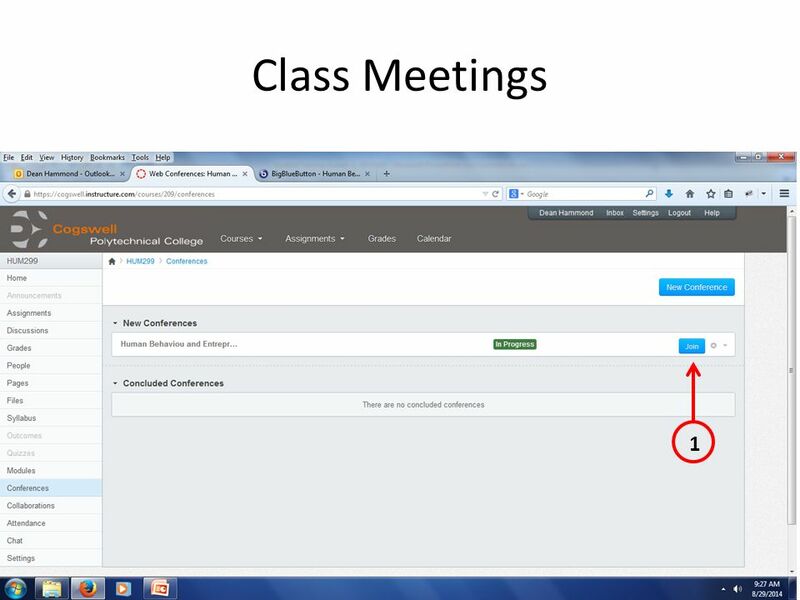 People In this page, you will be able to see all students enrolled in the class. 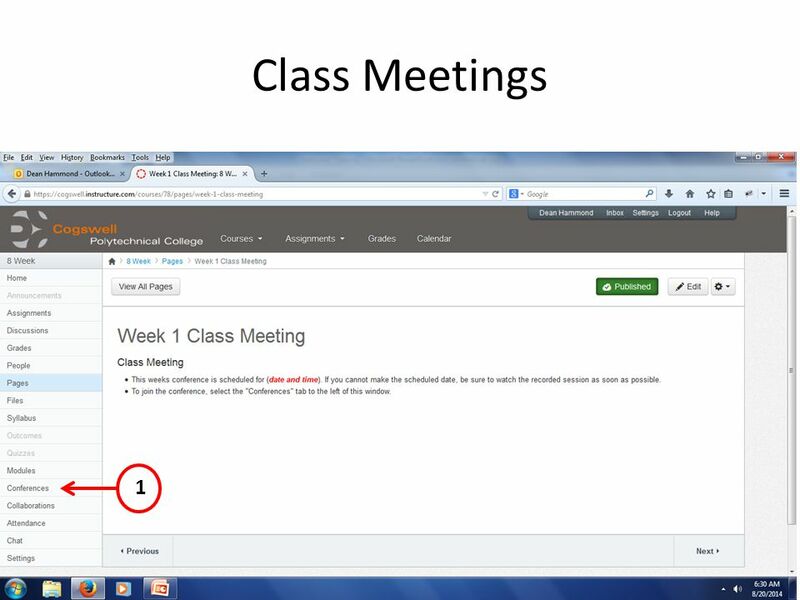 Clicking on a student’s name will allow you to communicate with him/her. 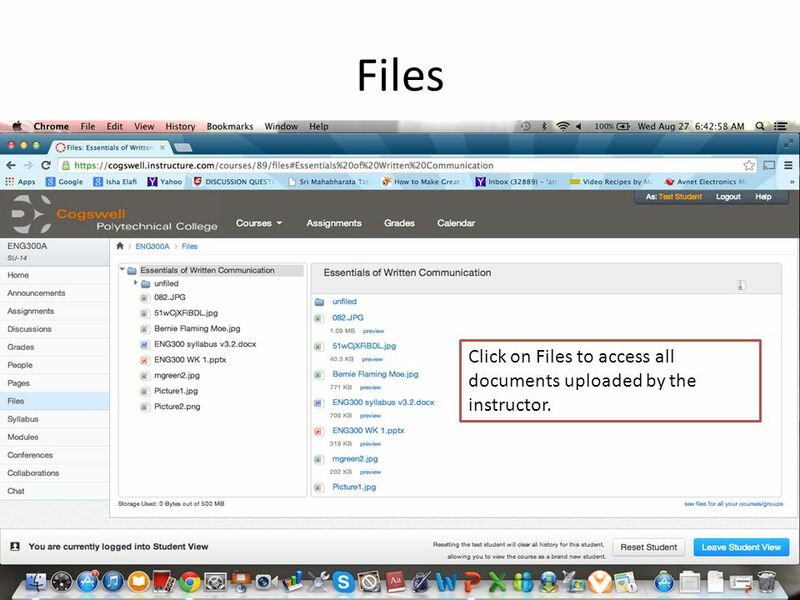 Files This view contains all documents that have been uploaded by your instructor for reference and reading. 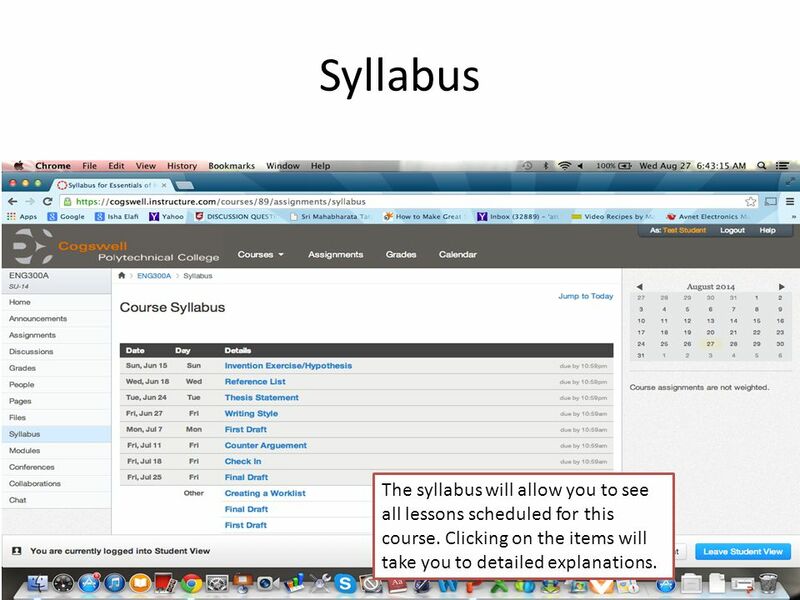 Syllabus A key part of your course - Syllabus will give you an overview of all lessons planned for this course. Modules The modules page is perhaps the most important page for your course. Make sure to read every item in the module. Every module will contain lessons, instructions and explanations. 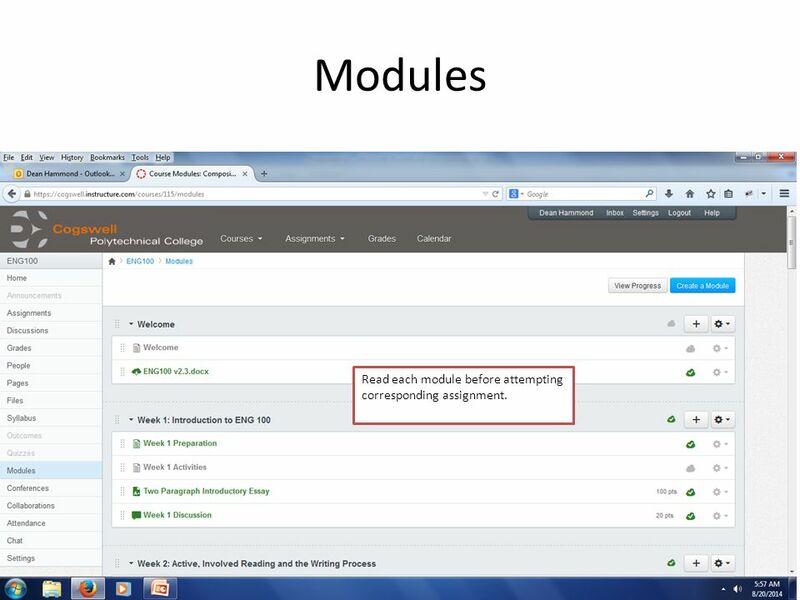 You must read through individual modules before attempting an assignment. 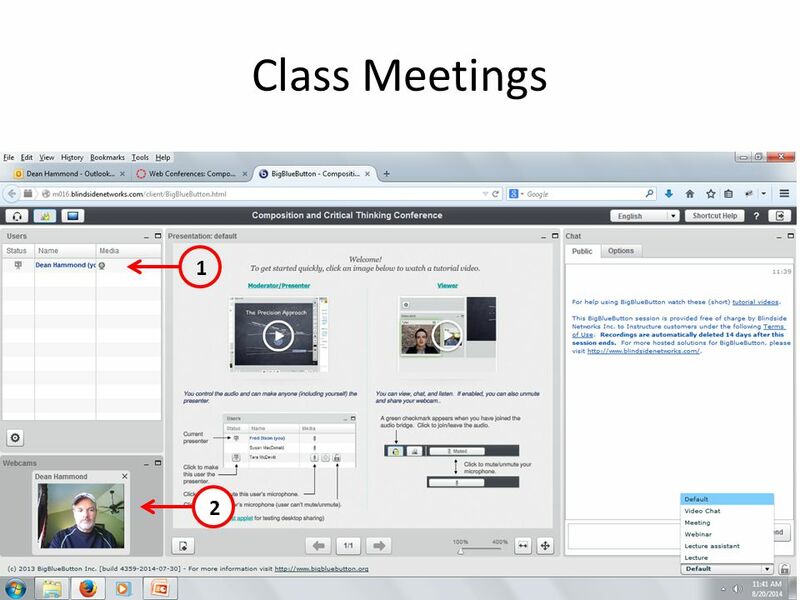 Chat This feature will allow you to chat with the instructor and classmates in real time. 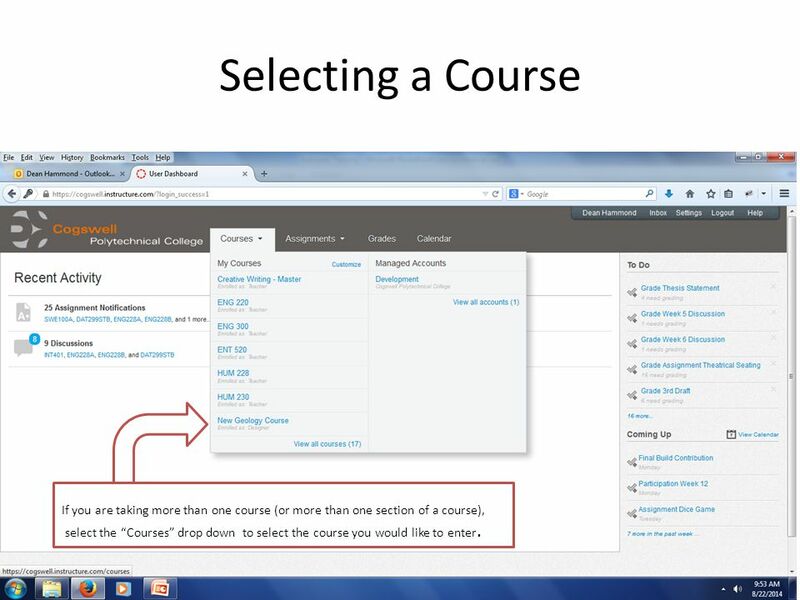 6 Selecting a Course If you are taking more than one course (or more than one section of a course), select the “Courses” drop down to select the course you would like to enter. 7 Course Home This is an example of your Course Home page. You can now begin browsing the items on the left. Check here for upcoming activities and assignments. 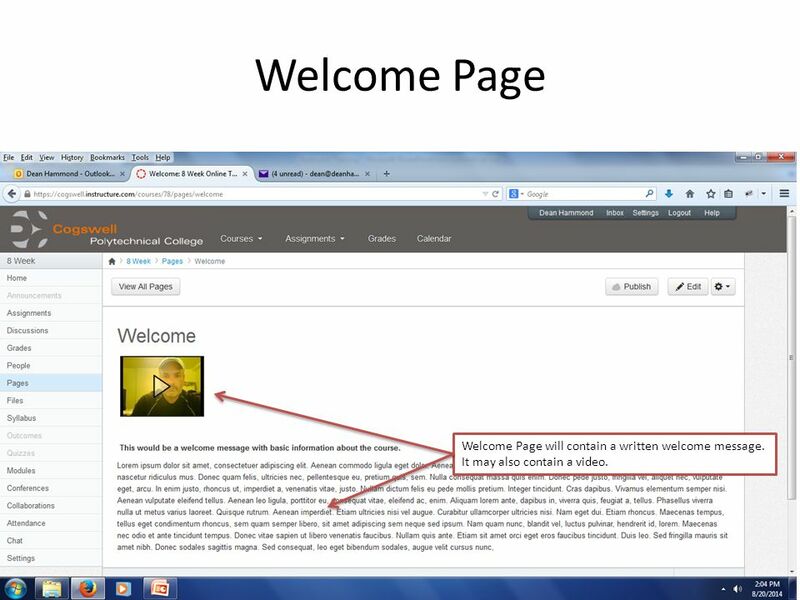 8 Welcome Page Welcome Page will contain a written welcome message. It may also contain a video. 9 Modules Read each module before attempting corresponding assignment. 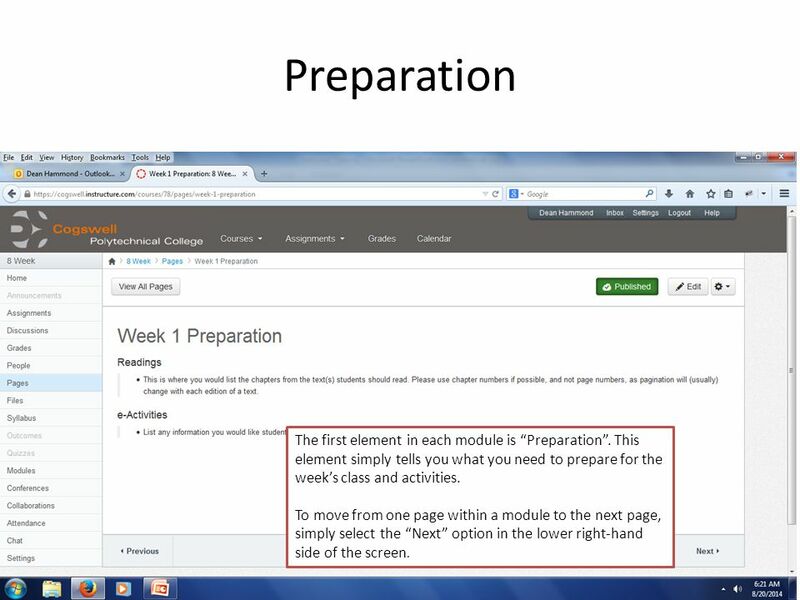 10 Preparation The first element in each module is “Preparation”. This element simply tells you what you need to prepare for the week’s class and activities. To move from one page within a module to the next page, simply select the “Next” option in the lower right-hand side of the screen. 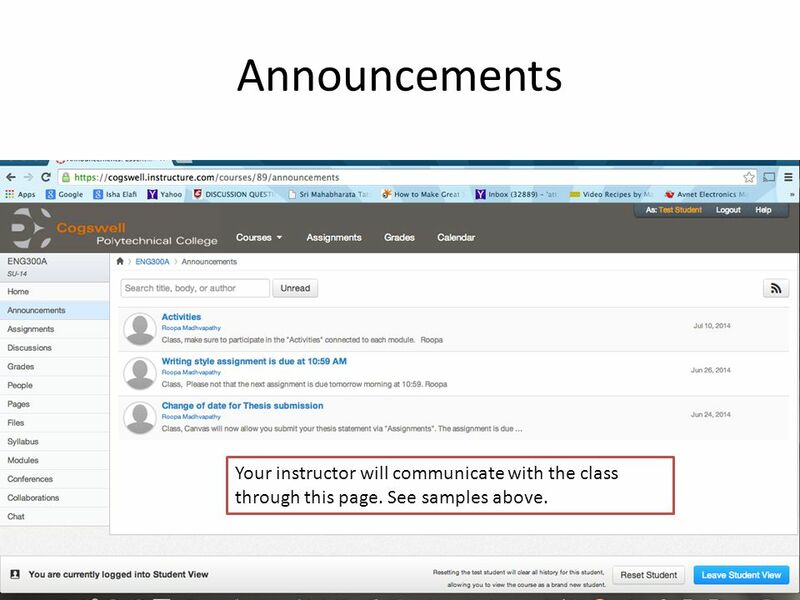 16 Announcements Your instructor will communicate with the class through this page. See samples above. 17 Assignments 2 Assignments are listed along with their point values. 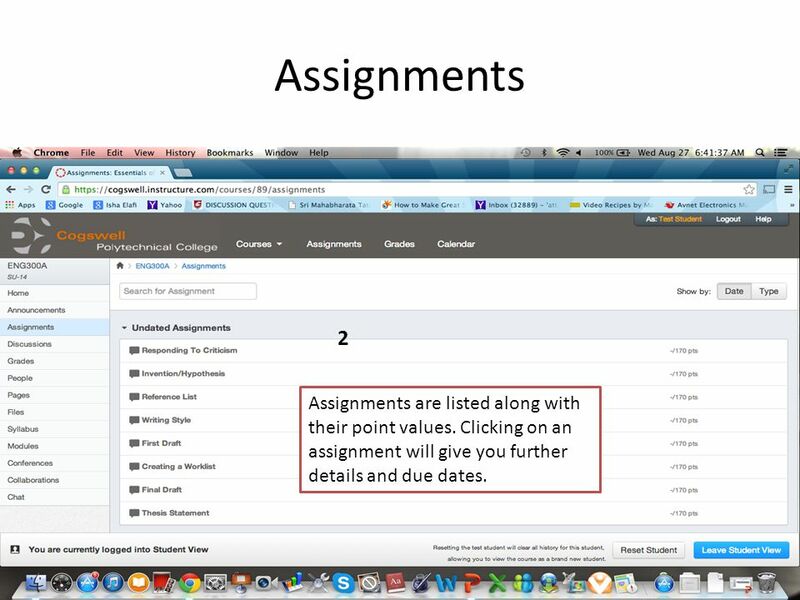 Clicking on an assignment will give you further details and due dates. 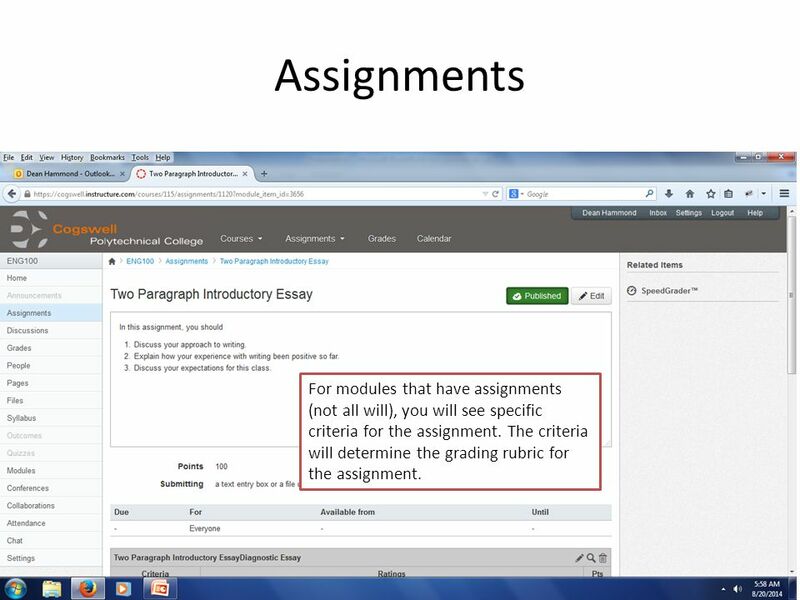 18 Assignments For modules that have assignments (not all will), you will see specific criteria for the assignment. The criteria will determine the grading rubric for the assignment. 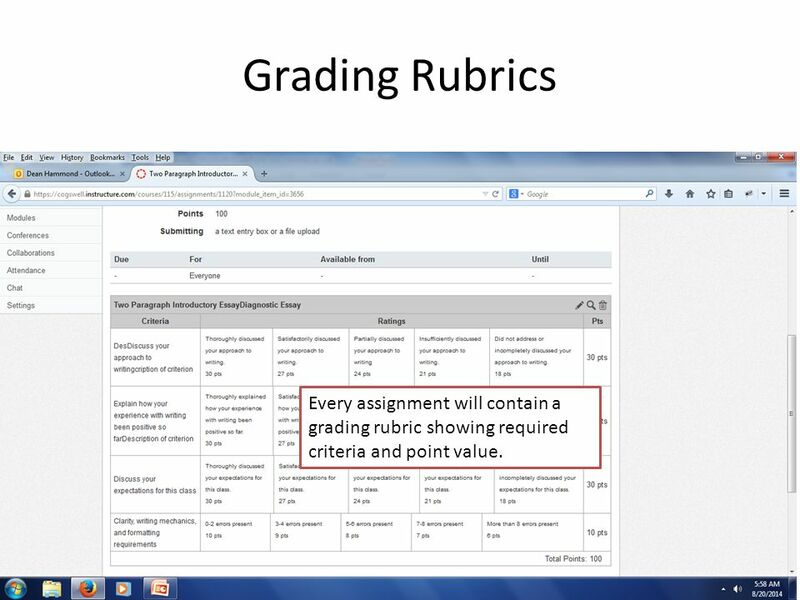 19 Grading Rubrics Every assignment will contain a grading rubric showing required criteria and point value. 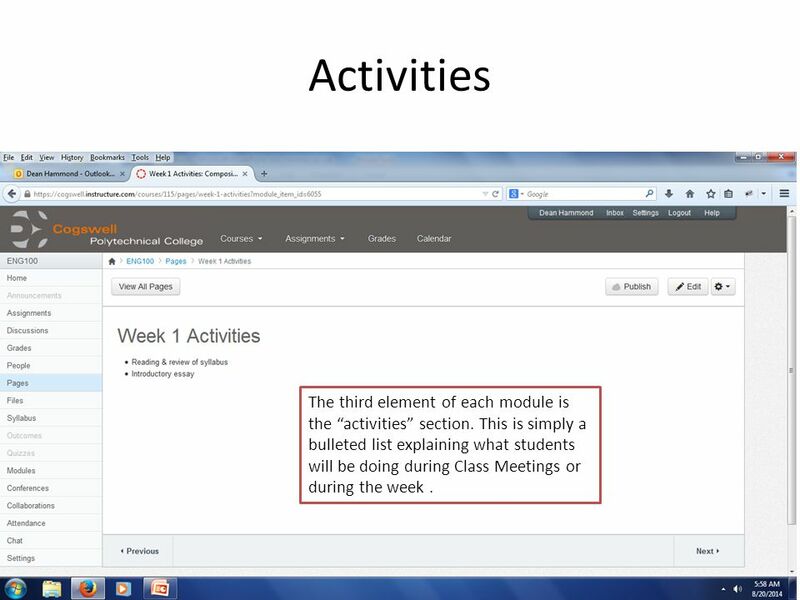 20 Activities The third element of each module is the “activities” section. This is simply a bulleted list explaining what students will be doing during Class Meetings or during the week. 21 Discussions You may enter the discussion session and post your discussions here. Some discussions are worth points and may be required for your assignment. 22 Grades You may check your grades on this page. 23 People This is an example of students who might be enrolled in your class. 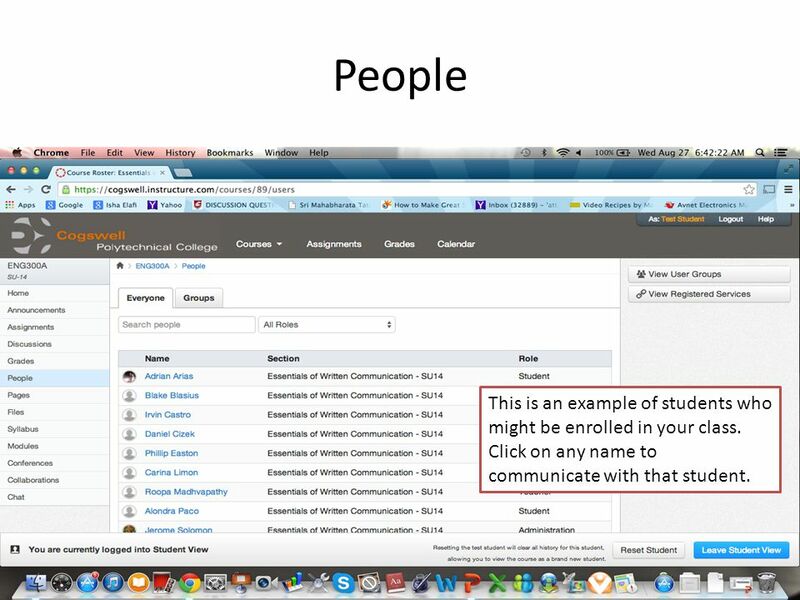 Click on any name to communicate with that student. 24 Pages All pages from the modules are available here for quick reference. 25 Syllabus The syllabus will allow you to see all lessons scheduled for this course. Clicking on the items will take you to detailed explanations. 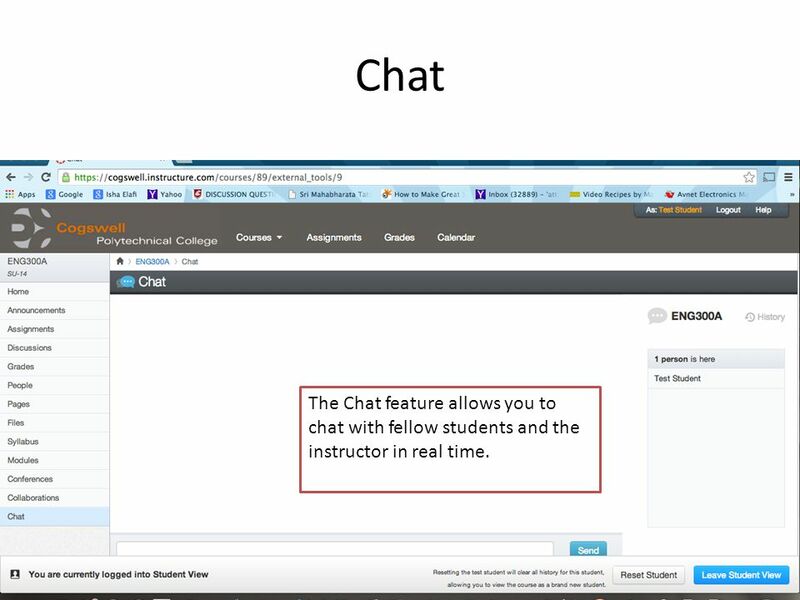 26 Chat The Chat feature allows you to chat with fellow students and the instructor in real time. 27 Files Click on Files to access all documents uploaded by the instructor. 28 Thank you! Give it a try now. It will get easier with practice! Your instructor is here to help! 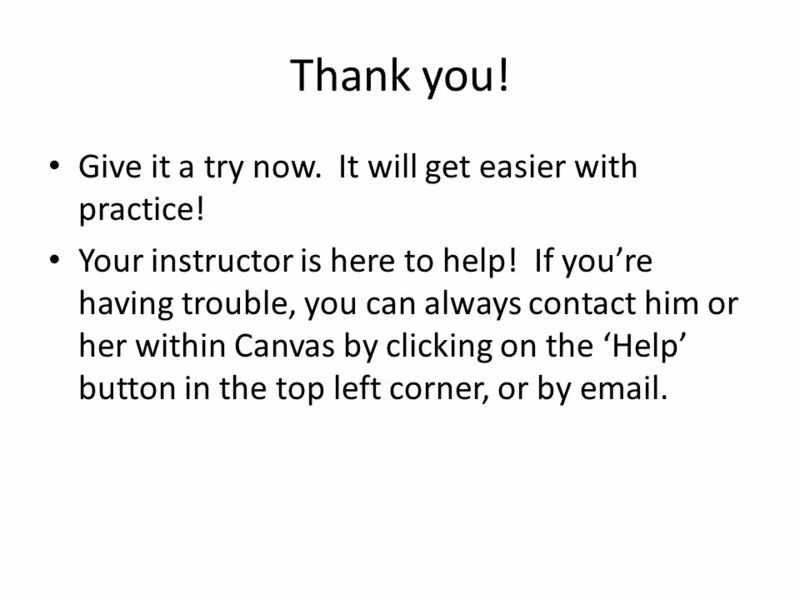 If you’re having trouble, you can always contact him or her within Canvas by clicking on the ‘Help’ button in the top left corner, or by email. 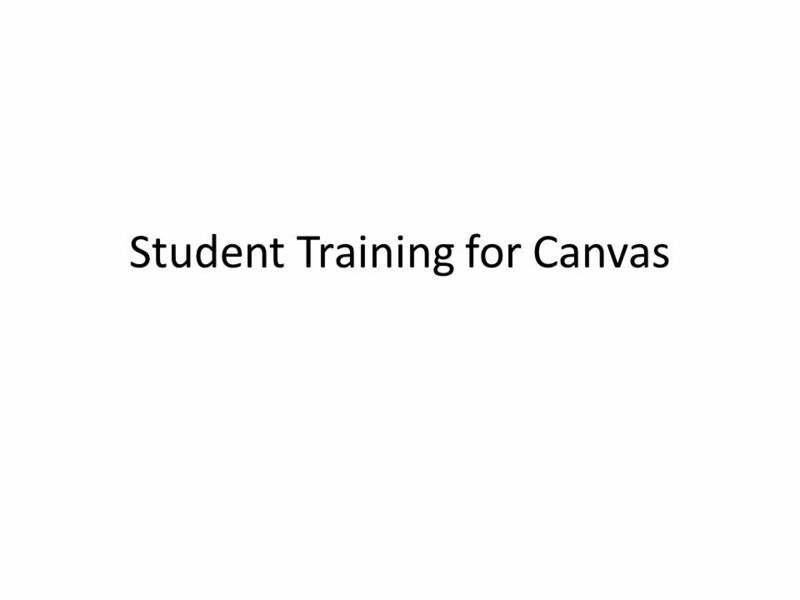 Download ppt "Student Training for Canvas. Navigating Canvas Some salient points to keep in mind as you enter Canvas: You will see the following items in the left hand." SAM 2007 v3.0 The Student Experience Including SAM Projects and Course Assess assignments. 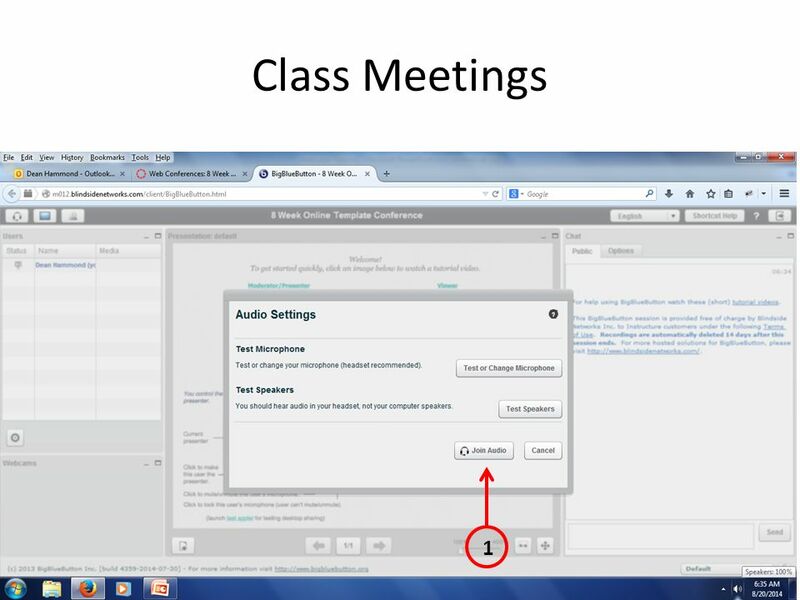 Using Home Base/Schoolnet to Deliver Assessments CTE Summer Conference July 14, 2014. 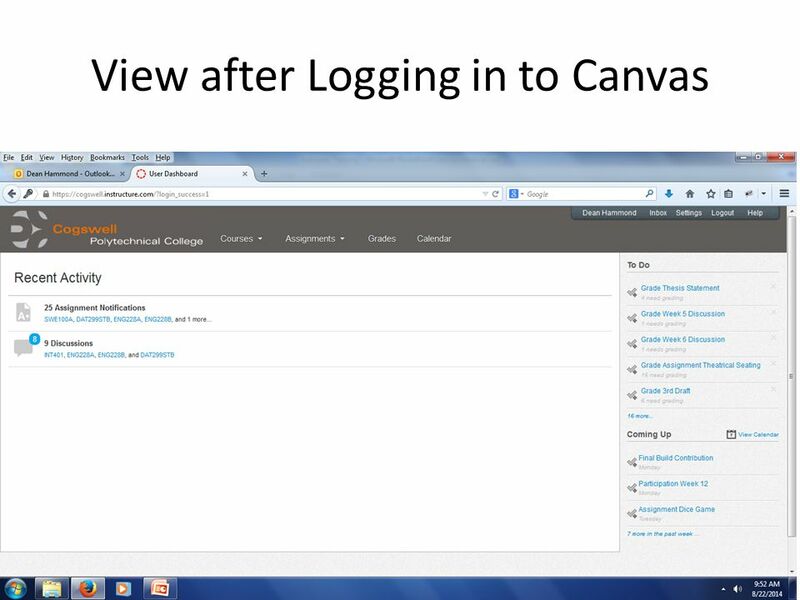 Getting Started In Canvas Spring 2014 By- PCI Librarian.  You will need to click switch user and then other user.  Enter your Campus Connect user name  Enter your Campus Connect password  Click the arrow. 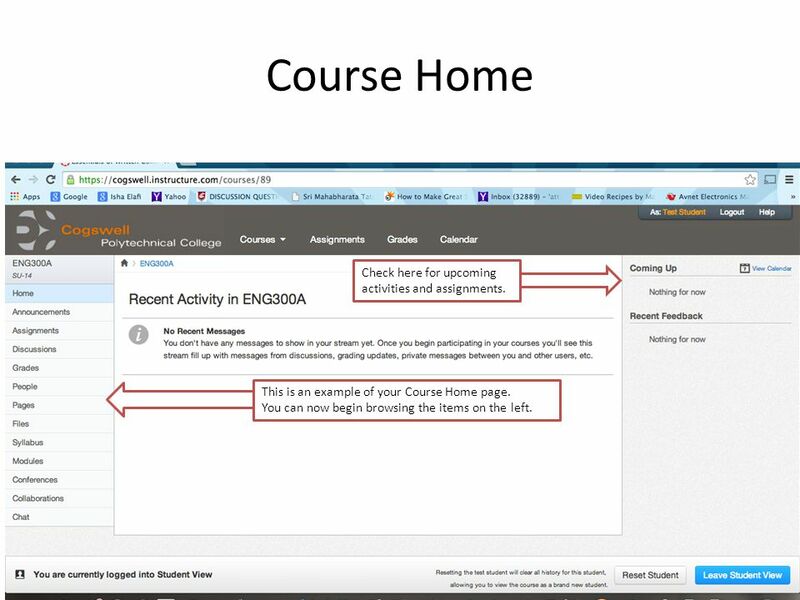 Using CourseCompass Features You must already be registered or enrolled in a current class. 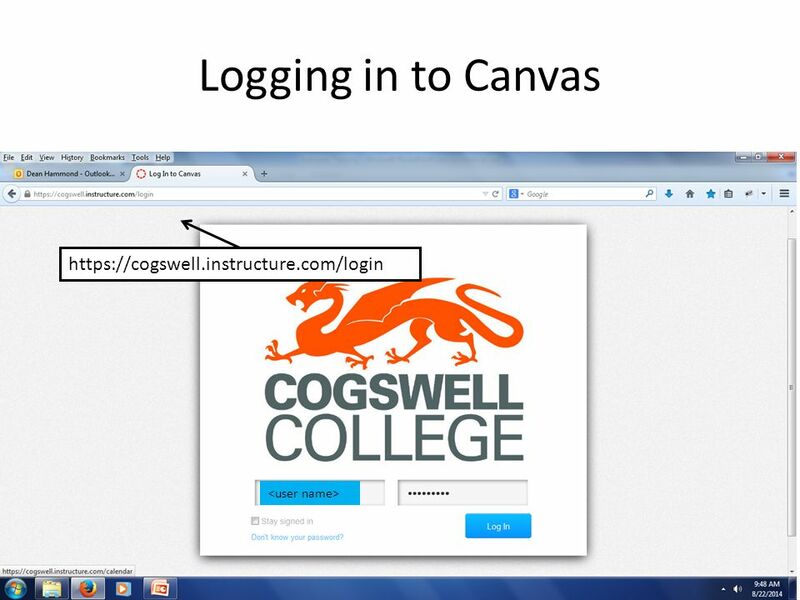 Getting Started in Blackboard. You will need… A web browser, preferably Internet Explorer, version 4.0 or higher An account and the knowledge of. Using MyMathLab Features You must already be registered or enrolled in a current MyMathLab class in order to use MyMathLab. If you are not registered or. Go to Click Check your browser If your browser is not compatible, then use another.